CRPF Recruitment 2019 - Walk in for Specialist Doctors Posts in CRPF, Chhattisgarh on Contract Basis. Candidates are invited by Central Reserve Police Force (CRPF) to attend walk-in-interview to be held on 01 Mar 2019 at 09:00 AM for 6 vacancies. Max- 67 years as on date of Walk-in-interview. i) Post Graduate Degree / Diploma in the concerned Specialty. ii) 1½ years experience for Degree holder & 2½ Years for Diploma holder in the concerned specialty after PG. CRPF Recruitment 2019 - Job notification for Female Trained Teacher, Aaya & Other Posts in CRPF, Noida, Uttar Pradesh on Contract Basis. 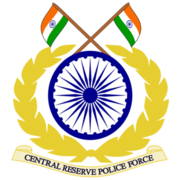 Applications are invited by Central Reserve Police Force (CRPF) on or before 10 May 2019 04:00 PM for 9 vacancies.